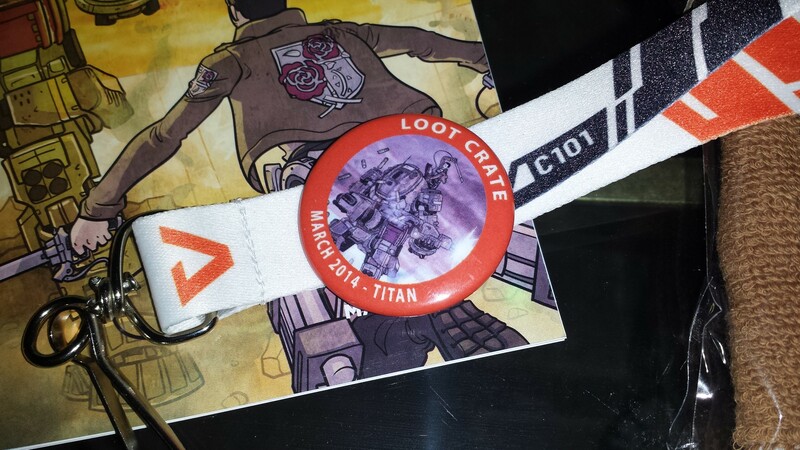 March Loot Crate – Titan! 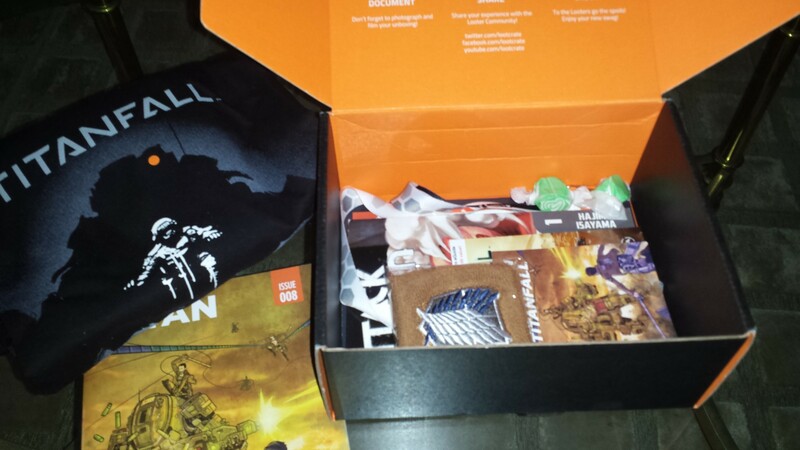 This was my first ever Loot Crate! Pretty happy with it, but its only because it has to do with Titanfall! 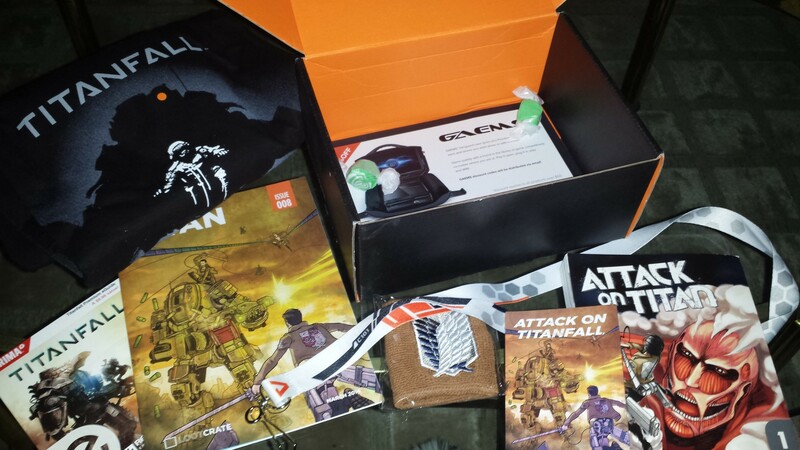 I remember being interested in Loot Crate a while ago but never pulled the trigger on a subscription. I already have enough junk in the house and I’m looking for reasons to get rid of it! The only way to enjoy the crates, at least for me, is to know what its theme will be first, and then just get it for the month. Sure, I wont be saving (although there are many promo codes our there) but why subscribe to something when ever nerd/geek is different. I don’t watch Doctor Who so I wouldn’t get the reference of an item had I been subscribed for that month. It doesn’t apply to my likeness so I rather just get the ones that I want! 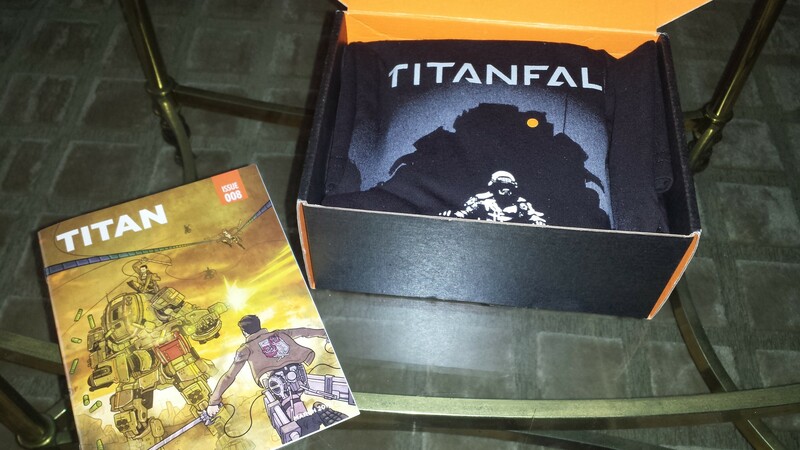 That being said, Titanfall is awesome, and I’ve started to watch Attack on Titan so why not get this? Why I Cancelled Loot Crate!